It has now been 13 days since the start of San Diego Comic-Con 2012. 9 days since it ended. And 11 days since we missed the opportunity to see the 10th Anniversary Firefly panel (in case I wasn’t the only one keeping track). Last night I decided that enough time had passed, that I wanted to sit down and watch the Firefly panel from SDCC 2012. Curiosity was killing me and I thought that it was as good a time as any to flip on YouTube, swallow my anger at the 4,000 people who got to see it live and in person, and see what I missed. So . . . so for 53 minutes I sat there in the dark, in bed, curled up with my family with tears streaming down my face. Giggling at some parts and feeling their same melancholy at others, but overall, just . . . sad. And not because we didn’t get to go to the panel (…although, really? After 7 hrs in line we should have at least gotten to stand in the back or something) and not even because the jovial and witty man I watched on stage did not have that same presence when meeting him one-on-one. Just sad that so many people – writers, creators, cast – can feel such incredible, long-term passion for a project and have a group of executives with a hard-on decide it’s “not good for business” and squash it. Sad, that if Firefly was on even 2 – 3 years later, a social media outcry might have given it its second legs. Sad, that it didn’t get an opportunity like Eureka – you’re cancelled, so take this partial season to wrap things up the way you want to. Sad, that such a creative, never-before-seen idea was so ahead of its time that it wasn’t given the opportunity to flourish and grow the way it deserved. I finally turned the t.v. off and laid there, wishing my pillow was a Fox executive from 2002, as I punched it into place to try to sleep. My brain and stomach both swam with a soupy mixture disappointment and remorse when suddenly I thought, why AM I so sad? What happened in 14 episodes and 1 movie that made me feel so passionately angry for what was taken from me, for what I felt, was way too early? I fell asleep with this question to wake up to an epiphany. JOSS WHEDON WINS. Many shows have a strong fan base. And many shows have an ongoing fan base. But I struggle to think of one creative being that has so many. 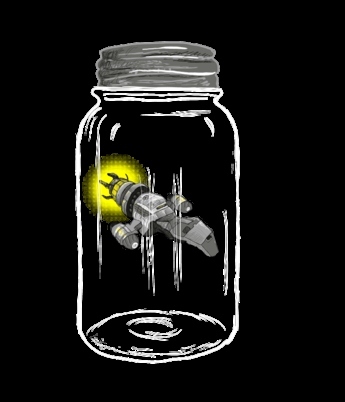 Firefly – Buffy the Vampire Slayer – Angel – Dr. Horrible’s Sing-Along-Blog and now The Avengers. Oh! And if you missed Cabin in the Woods, do yourself a favor and WATCH IT. No matter if you love them all or feel passionate about one or two, JOSS WINS. In the case of Firefly, it has been off the air for 10 years and people slept outside just to get an hour in the same room with the cast and creator. Over 206,000 people have viewed their SDCC 2012 Anniversary panel on YouTube. There are sold out movie theaters every year across the country with the Browncoats showing Can’t Stop the Serenity for charity. JOSS wins because even though they took it off the air (along with Buffy, Angel and Dollhouse) WE still follow. We are still in love with those characters however many years have gone by. Buffy Season 8 comic was a HUGE success for Dark Horse Comics. Angel is a comic still running today. Dr. Horrible Sing-Along-Blog part 2 is in the planning stages. And, I found out by watching the panel that The Shepard’s Tale was Dark Horse Comics’ BIGGEST selling book and that Joss and his brother/co-writer are working on more Firefly stories going forward! So although it is a dramatic analogy (why stop now), much like losing a loved one, although there is a time to mourn for what is lost, there must also be a celebration for what we had. Looking at old pictures and talking to family members about the awesome memories you all share in common can change your focus and outlook. In this case “family” might be 4,000 people in line for Ballroom 20 and “memories” might be on Blu-ray or dvd, but for anyone who has taken the time to watch or read (repeatedly) the storytelling of Joss Whedon, he evokes an emotion in people that is intentional and real and truthful… and RARE. 10 days ago, I stood in front of Joss Whedon. Not knowing what to say without sounding like a record on repeat (You’re so awesome! I love you! I’m not a stalker…) praying I didn’t say something stupid in those moments. But now I realize that nothing needed to be said except “thank you”. Nothing I could have said would have been able to put into words the amount of brilliance that drips from him like common sweat that makes my creative juices scream for mercy (ya know, without him calling for security). So this morning I’ve moved from sad to grateful. Grateful to live in a time riddled with an overwhelming amount of awesomeness that makes me as giddy as a 13 year-old boy the day the new Diablo III game comes out. Grateful, to have a husband who not only enjoys the nerdy things in life, but relishes them and takes joy in indulging me. Grateful, to have friends who not only want to, but find it necessary to meet and discuss the nuances of The Avengers over pancakes. And grateful for the creative gene that burns like an ember inside me, under the fanning of people like Joss Whedon, and that although it may not be “good for business” in an adult world, I am willing to let it flourish! Hell yeah, you win! Your wide-open, anything is possible outlook wins, your fiercely burning passion wins, and your amazingly kind heart and supportive spirit wins it the hardest. And I am grateful to be your friend.